Getting married is one of the best days in a persons life, but how do you get there? That moment when the bride arrives, can be the most exciting part of her day. So most brides like to show up in style. As a result most brides go to wedding car hire company to give her this elegance she craves, in order grab her guest’s attention. Over the years the style of the wedding car hire has changed dramatically as the range of options for brides has significantly increased. Therefore this can practically give the bride the car of her choice, something that in the past was non-existent. Traditionally newly weds would get transported in an open carriage with a horse and this is still true for some newly weds wanting a fairytale style wedding. Royalties also still keep up this tradition, and often use open carriages. When Kate Middleton and Prince William got married in 2011, they left the ceremony in the traditional open carriage. However Kate gave her wedding a modern edge too when she decided to arrive at the ceremony in a limousine. Vintage cars from various 20th century decades are also quite popular among newlyweds. These can range from 1930s Rolls Royce to Beaufords open top tourer. This is often a popular choice for a bride as these cars can give a timeless feel for the her as well as the father of the Bride. Having a an elegant and refined classic car for the Brides special day can make it that bit more memorable for them. However some brides opt to arrive at their ceremony in a more modern elegant car instead. This can give the bride that extra luxurious feeling on her wedding day. 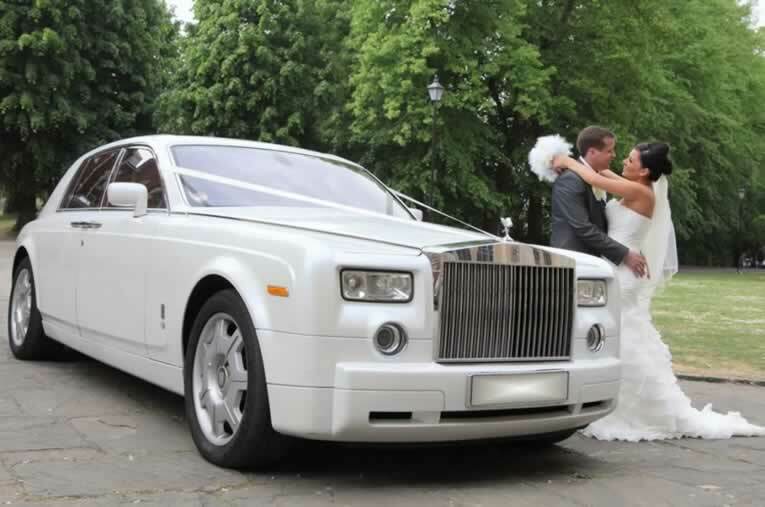 There are many modern cars that can be hired presently from wedding car hire companies, but some are more popular than other. Favorites from many couples are top of the range BMWs, Mercedes, Limousines and even Range Rovers. Presently in today’s wedding care hire industry, the possibilities are endless for newlyweds. Brides can that extra mile and pick something that is completely extraordinary for their transport. Such as opting to arrive in for VW Van. This is a great way to make their day have a more festive and hippy feel. Some wedding car hire companies also provide photo booths in their vans and is an excellent way to entertain guests. What’s more far out is some brides have even hired Del Boys iconic yellow three wheeler van as transport, complete with their own Trotter driver included. So it appears that the possibilities are endless for hiring a wedding car in today’s market and brides can choose any car of her choice whilst being transported to her big day.